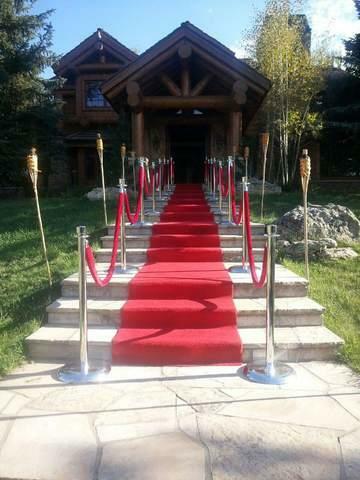 Have us tape the red carpet up the stairs, at $3.00 per stair. Please add this option to your cart, then update the quantity needed PER stair. This option costs more due to the amount of extra tape, and labor.